The newest members of the Splash SuperStream family – the SuperStream Pro and SuperStream Lite are specially designed to attract new customers who want to stay active in exercise programs without putting undue stress on joints, and ligaments, or pocketbooks. The SuperStream allows long distance swim training against a resistance current in a small area. And the family of Splash dealers will find little resistance from their customers as the SuperStreams provide a healthier way to exercise at a price point that’s good for the dealer and good for the end user. There is no other exercise pool on the market that can match the quality of SuperStreams at anything close to the msrp. The SuperStream Pro and the ultra portable SuperStream Lite: state-of-the-art technology offering a variety of aqua exercises that are perfect for physical and fiscal fitness. 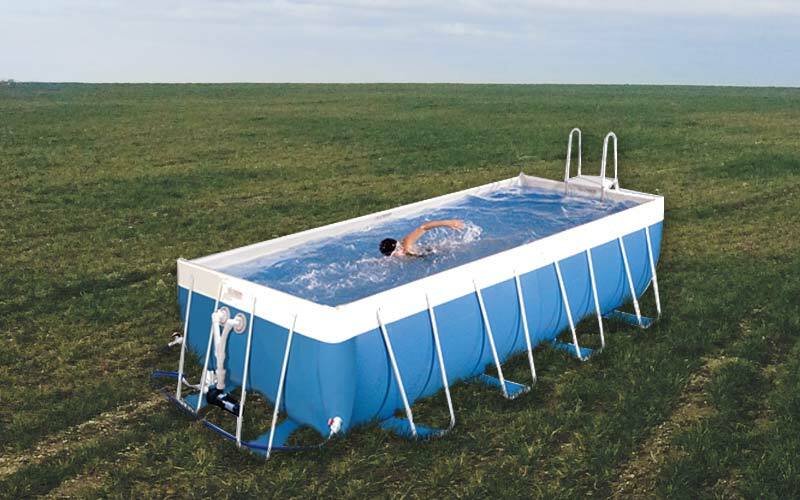 The SuperStream is perfect for aqua-jogging, aqua-aerobics, swimming. • SuperStream Pool Size is 9 ft. x 17ft. x 4ft.